ESPN, the worldwide leader in sports, has added another matchup to its already extensive 2018 college football broadcast schedule. The network has added the MEAC/SWAC Challenge to its annual college football broadcast schedule. The early season game is a matchup of teams from two Historically Black Colleges and Universities (HBCUs). This year’s showdown will pit N.C. Central (MEAC) against Prairie View A&M (SWAC) Sept. 2 at Pete Petit Field at Georgia State Stadium. The game is one of a number of games owned and operated by ESPN Events. Terms of the deal between ESPN and other involved parties will see ESPN carry the game for the next three years on the Sunday of Labor Day weekend, the traditional opening weekend of the annual college football season. 2018 marks the 14th year that the MEAC/SWAC Challenge has been held. It also marks the return of the game to a neutral field instead of either team’s home field. Adding to the interest of this year’s game is that it will be played in the same city as the Celebration Bowl, which features the MEAC and SWAC champions facing off in a bowl-season opening championship game. This year’s Celebration Bowl is scheduled for Saturday, Dec. 15 at Mercedez Benz Stadium in Atlanta, GA. It will be played live on one of ESPN’s networks, which will be announced at a later date. John Grant, ESPN Events’ Celebration Bowl Executive Director said in a recent interview that placing the MEAC/SWAC Challenge in the same city as the Celebration Bowl made common sense. MEAC Commissioner Dennis Thomas and SWAC Interim Commissioner Edgar Gantt both agreed. ESPN announced today, its broadcast coverage schedule for the 2014 college softball season. This season’s broadcast schedule is the most expansive from the Worldwide Leader in Sports. This season, audiences will be able to catch no fewer than forty regular season college softball games across the ESPN family of networks. Another forty will be broadcast on ESPN3 later this season. Those games will be announced at a later date. Also included in this year’s broadcast schedule will be no fewer than five college softball championships and the entire SEC tournament. The championship matches scheduled to be broadcast will be for the SEC, ACC, Big South, SWAC, and AAC conference titles. It all begins with preseason Number 1 Tennessee hosting South Carolina on Sunday, March 23rd at 2:30pm on ESPNU. The end of the regular season doesn’t mean the end of ESPN’s coverage of college softball. ESPN and the ESPN family of networks will have regional round coverage, full coverage of the super regionals, and NCAA Women’s World Series. The number of college softball games covered this year by ESPN and the ESPN family of networks is just one landmark. Among that total eighty games to be broadcast, the ESPN family of networks will also carry a record seventeen matchups featuring two ranked teams. This includes a matchup of #10 Texas at #2 Oklahoma on Thursday, April 17th on ESPN2. The Sooners will also be on the road Saturday, April 12th to face #16 Baylor. That game will be broadcast on ESPN. Along with its matchup against the Gamecocks, ESPN is scheduled to carry The Volunteers’ matchups against #11 Texas A&M on Friday, April 11th and Sunday, April 13th. Twelve of the eighty total games scheduled to air across the ESPN family of networks will feature a top five team in the ESPN.com/USA preseason Top 25 games. Twenty-seven of the games will feature an overall ranked team. If the number of games scheduled to be broadcast and the teams to be featured isn’t enough for audiences, the staff of analysts set to cover the games will impress viewers. Each analyst—Jessica Mendoza, Jennie Finch, Amanda Scarborough, Cheri Kempf, and Michele Smith—is a multi-time collegiate All-American. Three of the analysts—Finch, Mendoza, and Smith—combine for six total Olympic medals, including four gold. Joining the staff for play-by-play commentary will be Beth Mowins, Pam Ward, Cara Capuano, Adam Amin, Holly Rowe, and Mark Neely. The current schedule of college softball games to be broadcast across the ESPN family of networks is listed below. Dates are subject to change. 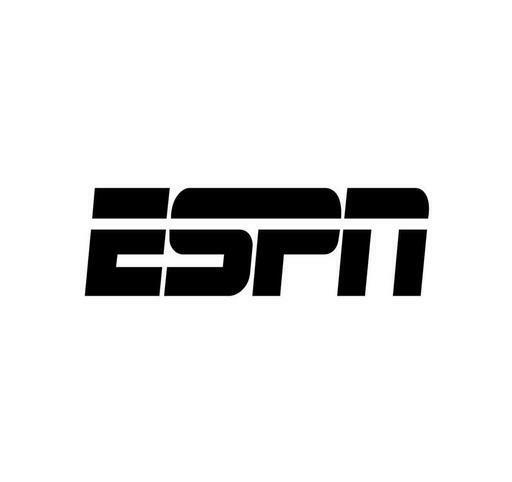 More information on the ESPN family of networks coverage of the 2014 college softball season is available online at http://www.espn.com and http://www.facebook.com/espn. To keep up with the latest sports and entertainment news and reviews, go online to http://www.facebook.com/philspicks and “Like” it. Fans can always keep up with the latest sports and entertainment news and reviews in the Phil’s Picks blog at https://philspicks.wordpress.com.